BMW uses pieces of meteorites for the cabin trim. 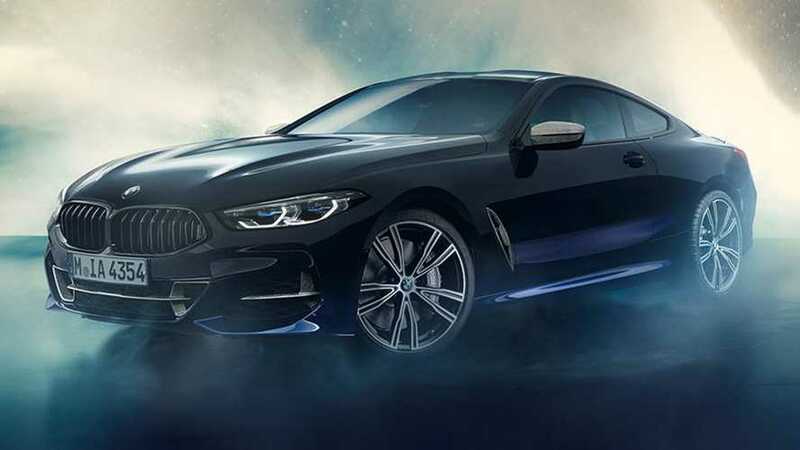 The BMW Individual customization division shows its out-of-this-world abilities by debuting the one-off M850i Night Sky edition. Arriving just in time for a meteor shower overnight on January 3 and into the wee hours of the next day, the unique coupe features pieces of meteorites for the interior trim. Various elements of the exterior and cabin also pick up on this galactic theme. The inlaid hunks of meteorite adorn the center console trim plate, engine start-stop button, top strip of the gearshift, and iDrive controller. They're also part of the door sill plates. The pieces are easily identifiable from their striated look, which experts call a Widmanstätten pattern after a person in the early 19th century who described this appearance. It's the result of iron-nickel crystals forming on meteors over the course of around 10 million years. Looking just behind the pieces of meteorites on the stack, the center console lid is similarly eye-catching by featuring an LED-illuminated pattern that looks like a constellation of stars. The angular Widmanstätten pattern also appears in the embossed stitching pattern on the seats and headliner. BMW even milled the crystalline appearance into the brake discs and created special mirror caps to match the look. It adorns bits of trim on the front splitter and side air intakes, too. Using material from outer space would make the Night Sky edition special enough, but BMW Individual also makes this M850i unique by fitting it with 3d-printed brake calipers. The pieces are up to 30 percent lighter than the 8 Series usual stoppers, the company claims. The Night Edition evokes the night sky as soon as you look at it. BMW painted the coupe in a deep, non-metallic shade of black. They then went over the top of this dark hue with San Marino Blue metallic paint starting at the top of the fenders so that the brighter shade wasn't fully apparent until someone's view drifted to the coupe's lower sills. Munich . For over 25 years now, the BMW Individual Manufaktur customisation facility in Garching near Munich has been producing exceptionally high-quality equipment features, extraordinary special-edition models and spectacular one-offs – all sporting a highly distinctive design and further enriched by the world’s finest, most precious materials. And the bespoke styling specialists have now opened up a new dimension in exclusivity by looking beyond our planet and bringing the night sky into the car. 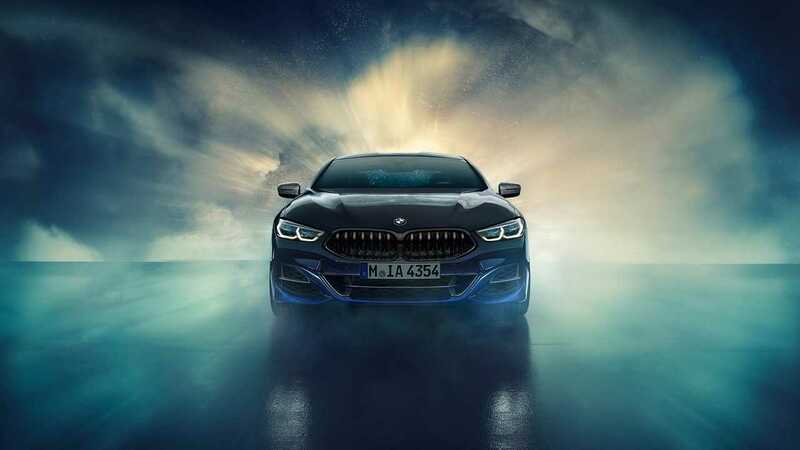 In the BMW Individual M850i Night Sky (fuel consumption combined: 9.8 – 9.7 l/100 km [28.8 – 29.1 mpg imp]; CO2 emissions combined: 224 – 221 g/km), applications made from meteoritic material grace selected controls. Human fascination with the infinite vastness of the universe is also mirrored in the illuminated constellations of stars on the centre console and in the surface design of the luxury sports car’s trim finishers, seat backrests, brake discs and exterior add-on parts, which draws inspiration from celestial bodies.